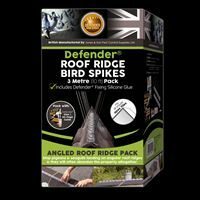 Defender® Bird Spikes and Pigeon Spikes are a humane method of preventing birds from landing on ledges. 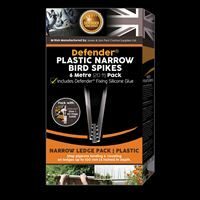 UK manufacturers, Jones and Son, have developed and patented the world’s most widely used range of Defender® Bird Spikes and Pigeon Spikes. 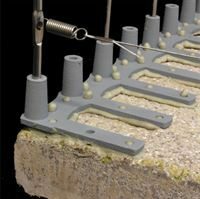 Our Bird Control and Pigeon Control strips are regarded by many as the finest anti-roosting system available. 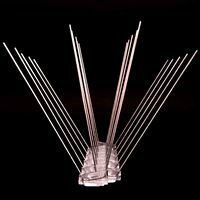 What are Bird Spikes & Pigeon Spikes? 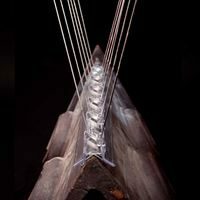 Bird and pigeon spikes are a humane method of stopping birds from landing and roosting on ledges, roofs and buildings. 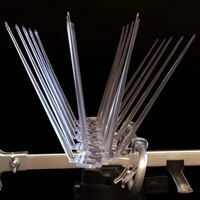 This video explains how they work and shows how easy it is to get rid of birds by installing our anti-roosting spikes. 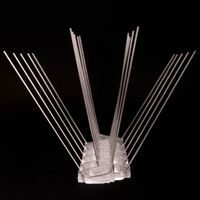 All Defender® Plastic Pigeon Spikes and Stainless Steel Bird Spikes are designed, produced and patented in the UK. 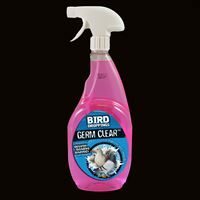 As the manufacturer, we hold vast stocks of all bird control products, and we like to dispatch orders on the same day. 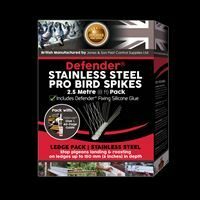 You can rely on these pigeon control spikes to protect your property and keep birds off your ledges. 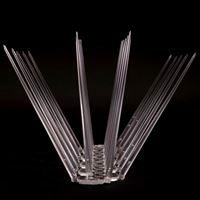 They are made from high quality UV stabilised polycarbonate plastic and 304 grade stainless steel. 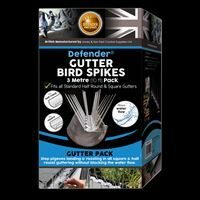 This means Defender® Bird Spikes are used by almost every professional pest control company and councils throughout the UK and Europe. 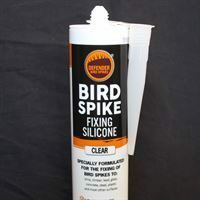 Buy bird control products direct from Jones and Son, the manufacturers. 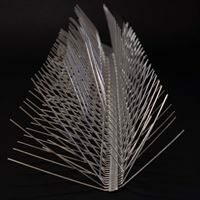 Whether you need just one strip or a large quantity of Defender® Bird or Pigeon Spikes, please contact our sales team and they will be happy to help. 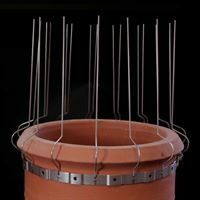 Need Advice on Bird Control Spikes? If you need advice on your bird problem, be it pigeons, seagulls or other smaller birds, then please don't hesitate to contact us. We will be happy to give tailored help in selecting the right bird control product for your problem. if you want to talk through any issues at all, please call us on 01626 835055 or pop in if you are passing. 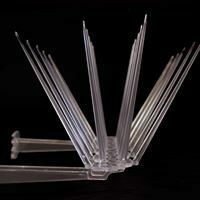 Defender® Plastic Pigeon Spikes come with a 15-Year Warranty. 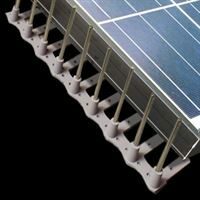 They are made from high quality Durolon UV stabilised polycarbonate and will not become brittle in direct sunlight, giving you peace of mind that, once installed correctly, they will be a long-lasting bird deterrent. 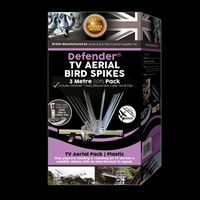 Defender® Stainless Steel Bird Spikes are made from 304 grade stainless steel wires protruding from a super tough Durolon UV stabilised polycarbonate base. 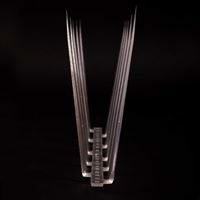 These heavy duty bird spikes come with a 25-Year "No Rust" Warranty. 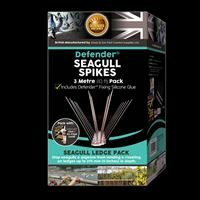 This will give you confidence to install our Defender® Bird Spikes, knowing they can withstand even the heaviest bird infestations and the toughest environments. 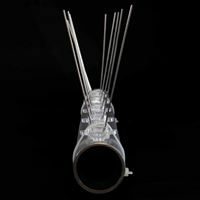 Questions about Pigeon and Bird Spikes? 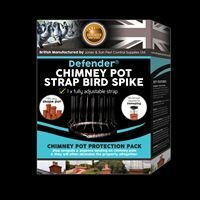 If you have any questions about Defender® bird control products, need advice on how to get rid of birds or pigeons, or even want installation guidance - then you have come to the right place. Our helpful team can offer professional, friendly and free advice to help you solve your bird problem quickly and easily. Call us to speak to an advisor now on 01626 835055 or email us through our contact page if you prefer. We are open Mon – Fri 8.30am – 4.30pm or pop in if you are passing. 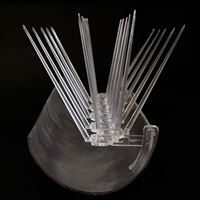 Please note: for every 24 strips of Defender® Bird Spikes (or part thereof) that you order, we will automatically add one tube of Defender® Bird Spike Fixing Adhesive to your basket. Only our Defender® Adhesive is recommended as others may not stick to the base of the pigeon spike. 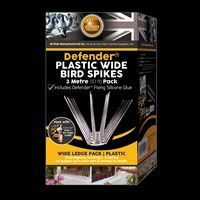 Customers who do not want our Defender® Bird Spike Fixing Adhesive (screws or nails can be used to fix down the pigeon spikes) can zero the quantity in the shopping basket. The quantity above is only a recommended amount based on Jones and Son's experience in this field. 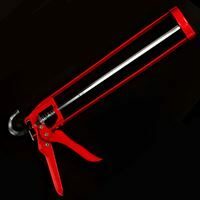 We have a standard delivery charge of £4.95 plus VAT per order for all our bird control and pigeon control products. 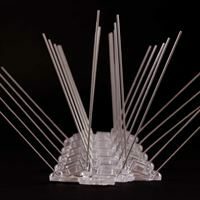 If you order Defender® Bird Spikes or Pigeon Spikes from us before 3pm Mon – Fri, we will dispatch the order the same day! For all deliveries outside the UK mainland, for example Northern Ireland, Isles of Scilly and the Scottish Islands, please contact us on 01626 835055 for shipping costs. 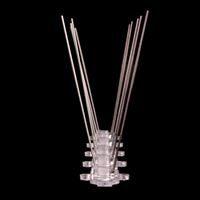 EU countries £29.95 plus VAT, USA mainland £39.95 (shipment 3 – 5 working business days). Rest of the world £78.95 and can take up to 7 working days. All customers should check delivery costs when filling out delivery details in the shopping basket. Customers are responsible for all local duties and taxes placed on their order.